Whatever level of experience in genealogy we might carry, there is a unanimous desire to visit the land of our ancestors. Those who have traveled to tour sights associated with their family history find it extremely moving. I myself descend from Irish families on my mother’s side. When I visited in Ireland in 2008 for non-genealogical purposes, it proved to be a very inspirational experience. So much so, that when I returned to United States, I basically hit the ground running to do genealogy. This led to much of my experience with Irish genealogy. There are many people who know they have Irish roots and would like to know their ancestor’s townland of origin. It strengthens and adds a more personal connection to family history. Unfortunately, there’s a misconception among some that finding Irish origins is almost if not entirely impossible to obtain. It was never impossible and as of today, it’s easier then ever. Before heading across the pond with your research, you need to be equipped with the knowledge of where your ancestors came from in Ireland. This might present researchers with the healthiest challenge. With that in mind, you have to undertake exhaustive and careful research. To explain this in detail would be in the scope of another post, but once the research is able to document with some accuracy where they came from in Ireland, you can begin to work with the Irish records. Ireland has made many genealogical records available online at no cost and the following list of websites are useful in propelling you back to your Irish homeland. In 2015, the National Library of Ireland completed a digitization project of Roman Catholic church registers from the earliest available up to 1880. Even though these records are indexed on various other databases, you can use the NLI’s website access the images of these records and browse through them. Ministers recorded baptisms, marriages, and burials for their parish. The availability of records by parish varies greatly and many do not start until the 19th century because of Catholic Penal Laws. Fig 1. Baptism register of My 3rd great-grandfather John Oliver, son of Bartholomew Oliver and Catherine Mannion. He was baptized 2 May 1826 in St Nicholas West Parish, Galway. The sponsors were Bernard Lyness and Celia O’Dougherty. Essentially, they have digitized most of their important genealogy collections they have. Each collection is searchable with multiple fields. Many of these collections, such as the pre-1858 wills and related will calendars, are based on a gathering of resources to reconstruct the immense loss from the Public Record Office fire in 1922. Only a small fraction of the wills and pre-1901 census records survive, but even if your ancestors left in the famine-era, it’s good to check the 1901 and 1911 schedules for descendants and Irish continued to emigrated well into the 20th century. For those who have located their ancestors in Griffith’s Valuation (searchable at askaboutireland.ie), the valuation office books are a useful source for historical research about living conditions in 19th century Ireland. Griffith’s was essentially a census of landowners and leasers conducted for the purpose of taxation and are in most cases, the only comprehensive census available for pre-famine Ireland. Griffith’s Valuation at least puts our ancestor in a time and place, but the addition of the Valuation office books can add more detail. With the house books, I learned the exact dimensions of my ancestor Bartholomew Oliver’s house on Fish Quay in Galway. It also stated the worth of his household items and the fact he had a small garden, but no yard. Fig 2. Valuation Office House Books (1845), Barth. Oliver , Fish Quay, Townparks Townland, City of Galway. Fig 3. Death Registration of Bartholomew Oliver, 24 Mar 1900, Registration District Galway No.1. He died at his home on New Docks Street in Galway. His daughter Mary Josephine Oliver was present at his death, informing the registrar he was 79 years old, married, worked as a sea captain, and died probably of rheumatism. Mary visited the local registrar May 25th, two months after Bartholomew died. 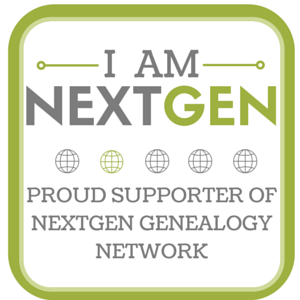 If you want to learn directly from John Grenham, subscribe to Legacy Family Tree Webinars and tune in to his 5-part Irish Genealogy webinar course. You can also perform some great research on his immensely helpful website and use it as a waypoint to other resources. Locality research is as important to Irish genealogy as any other kind and John Grenham’s place name search is a great way to search for Irish townlands. Each townland listing provides the corresponding parish and civil registration district that encompasses it, leading you to the appropriate records for that townland and all neighboring ones within the parish or district. Even if your ancestor reported his townland of origin in certain genealogical sources, he may have actually originated from a neighboring locale. His surname search engine also gives background on Irish names and a distribution map of the surname in pre-famine Ireland, based on data from Griffith’s Valuation. The websites explained in this post represent the essentials for getting started in Irish records, but there are also many others. You can find a more comprehensive list in my personal guide to Irish genealogy online. So relax in your shamrock PJs and follow your family history back to Ireland!